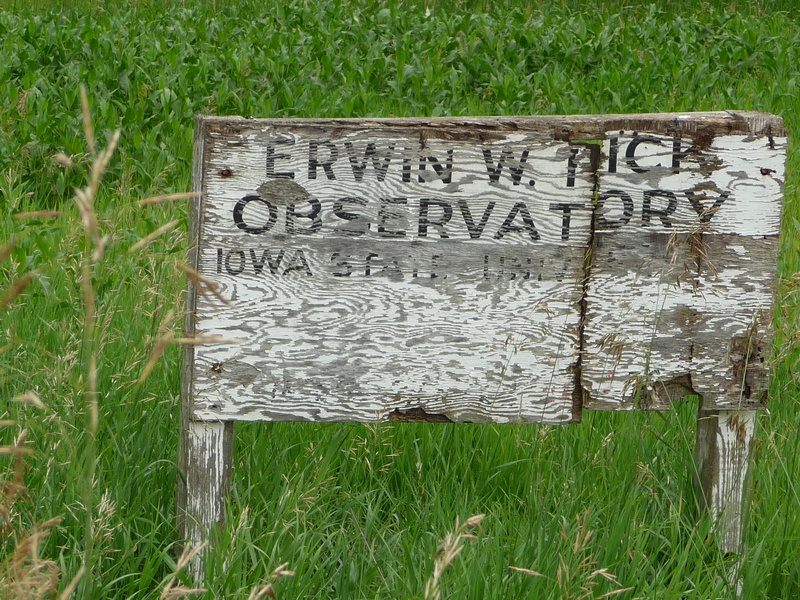 The deteriorating sign marking the entrance to ISU’s Fick Observatory southwest of Boone. For nearly 40 years, Iowa State University students and researchers made nightly drives west to a humble steel building in a wooded clearing southwest of Boone. When skies were clear, they would roll back the roof and fire up a 24-inch reflector telescope and other, smaller instruments to focus on distant stars and galaxies. But a visit to the Erwin W. Fick Observatory today finds no students or professors and little more than weeds. ISU has closed it and moved most of the telescopes and equipment to campus. For the first time in decades, Iowa State has no major astronomical facility – and it’s unlikely to ever have one again.